Bowie with Jeremy Paxman in 1999. The Internet? Bowie got it. ETA: Annnd I see Russell already posted it. I think if you're already a fan of Matinee Idle you would have appreciated their Bowie tribute, but clearly that's a small percentage of RNZ's listenership. If you're not a MI fan, and they are focussed on a beloved icon who'd just died, it's likely to rub you the wrong way because they're DOING IT WRONG. The trouble with Matinee Idle is that it very effectively satirises an under-financed radio station playing self-indulgent dreck for 30 hours a week. Unfortunately, rather than (after the fashion of Steve Coogan) condensing this into a one-shot, half hour programme, they do the satire on the grand canvas of an actual radio station, 30 hours a week for six weeks. This is a bit much. I think, in the end, this is what bugs me most. The freedom to reverse the usual balance for talk and music could be used to make beautiful radio that inspired a spectrum of responses from an audience that has time to listen. Bring in guests, play country music, rai, acrobat, rocksteady and the records that well-known songs imitated or sampled. But instead we get these two guys playing novelty records and laughing at their own jokes. It's such a waste of those hours. The few times I've listened I'm reminded of a long-departed friend who, with his darkly cynical sense of humour, never tired of predicting that the excesses of our generation would eventually provoke our successors to intern us in concentration camps. Ffs guys, stop giving them reasons to make it come true. I don’t enjoy the show’s format at the best of times and I turned it off fairly quickly today. And isn't that the easiest thing to do? So many folks have expressed themselves about the one man that has influenced many lives, and I think that's a good thing. Do we need to get all nanny about how that is done ? Turn the fucker off if it's not your thang . Seriously what's all with the judgy pants? An Icon has passed away. RIP. Awesome! Actual LOL. "No way! I've done two takes. Stuff it up your bum!" I would guess Labyrinth was probably the last time Bowie as an icon had a formative influence on a growing generation, rather than being seen as an artist doing interesting thing in relation to what he had done before. And isn’t that the easiest thing to do? You are right. Except it wasn't that easy to find a non-commercial radio playing that day and when i heard RNZ was doing it I thought hey they usually make a good fist of things. For me the worst part was the constant laughing at their own humour, like some old uncle at a funeral making tasteless jokes about the deceased while partner and children became more and more upset. Meanwhile the internet did so very much better. Whereas, RadioActive put on a very good show. David Bowie - Suffragette City. David Bowie - Oh, You Pretty Things. David Bowie - Drive In Saturday. David Bowie - Running Gun Blues. David Bowie - Love Is Lost. David Bowie - Young Americans. David Bowie - Breaking Glass. David Bowie - Always Crashing The Same Car. David Bowie - Soul Love. David Bowie - Life On Mars. 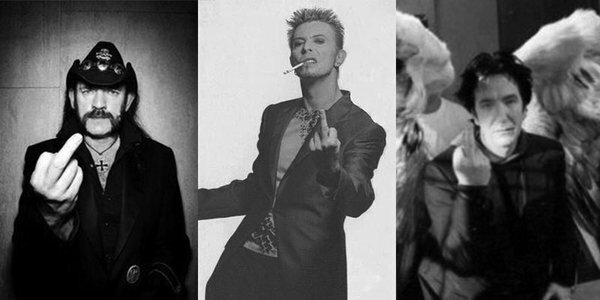 David Bowie - Valentine's Day. David Bowie - China Girl. David Bowie - Let's Spend The Night Together. David Bowie - Width of a Circle. David Bowie - Five Years. David Bowie - It Ain't Easy. David Bowie - Girl Loves Me. David Bowie - Let's Dance. David Bowie - Putting Out Fire. David Bowie - Andy Warhol. David Bowie - John, I'm Only Dancing. David Bowie - You Set The World On Fire. David Bowie - The Man Who Sold The World. David Bowie - The Laughing Gnome. David Bowie - Jean Genie. David Bowie - Hang On To Yourself. David Bowie - The Bewlay Brothers. David Bowie - Rebel Rebel. David Bowie - Be My Wife. David Bowie - Aladdin Sane. David Bowie - The Prettiest Star. A mixture, but a terrific mixture. Bring in guests, play country music, rai, acrobat, rocksteady and the records that well-known songs imitated or sampled. I suggest this kind of feature such as The Pips in 'the inaugural edition of Summer Music 101's very own (and very serious) music awards' - on Boxing Day, hosted by the inimitable Anika Moa. Never laughed so hard all year! Did anyone catch it? Though it is also a term for a cancer related lesion. I really enjoyed Matinee Idle that Bowie day. I thought they were respectful but not hagiographic and I learnt a lot. The Ngati Toa piece was very interesting. Of course! I meant over-thinking the gut punch. Everyone to their own way of grief and loss. I've found all this confusing. I didn't think I was much of a fan person yet I am grieving: no more projects, no more reinventions, no more changes. Bowie was a form of counter-cultural gravity and I identified at some times, not at others. In the midst of a week of hugely stressful hospital doings in my partner's family, I've been amazed to find this has touched me at all. Yet it has, profoundly. Even The Press wrote an editorial! Just saw on the NYT site a Bowie story with Iggy Pop, on all the help the former gave Iggy. Interesting stuff and there is a 12 minute video from a 1970s (i think) tv show where the two are interviewed together. Quite neat. George Kay’s interview with Bowie for Rip It Up in Christchurch in 1978, before the show. Pics by Laurence Aberhart.